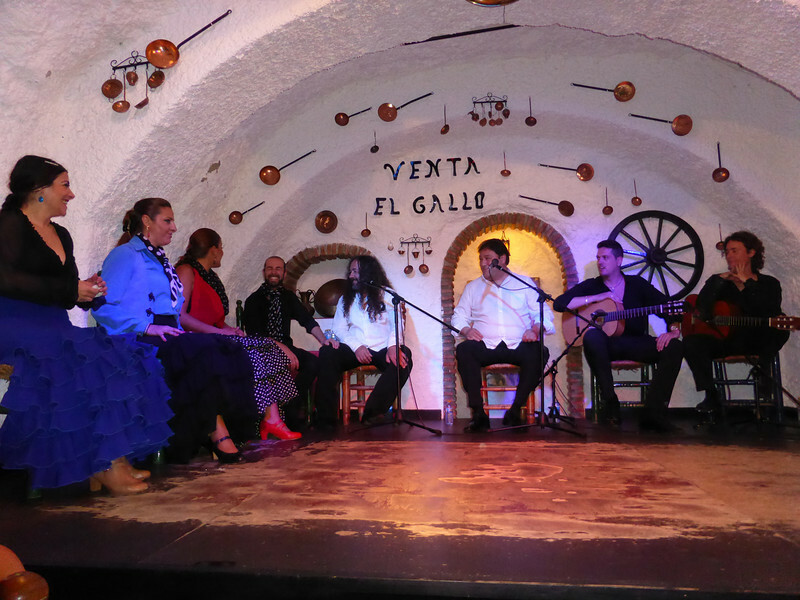 Granada - these are the performers at a Venta El Gallo Gypsy Flamenco show, which takes place in the Albayzín in the hills above the city. The four people on the left are the dancers, the two in white are the singers and the two in black are the musicians. The performance was outstanding!